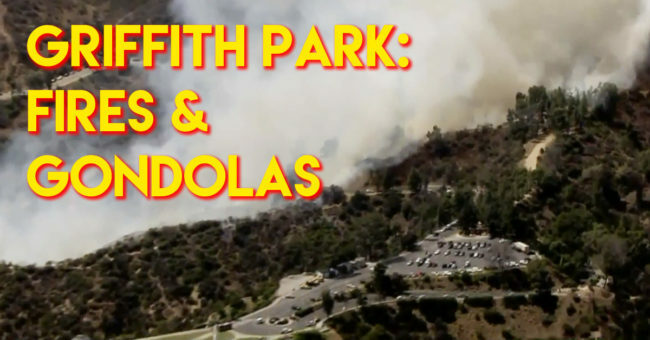 Griffith Park’s health is highly vulnerable. You can see it built up by years of drought and abound by unhealthy trees. Fires are a natural occurrence and Griffith Park isn’t immune to them, but that doesn’t mean we should turn a blind eye to the factors that expedite them. Yesterday’s breakout in the Western Canyon area is the second fire to hit the park in the past two weeks and it’s only the start of July. Every weekday morning, I ride this area including through the heart of it Tuesday morning. I say hello to the same cast of frequenters going for a morning walk or getting some trumpet time in. There’s not as many people there before 9am, but inevitably, I see someone lighting up a cigarette commonly going up Observatory Road or people convening for a hike up Mount Hollywood Road. Most likely, I’ll see a Ranger driving around, but their capacity is limited in covering this much ground. The hope is there’s a greater presence during the later part of the day, but remembering what a circus it was when Mt. Hollywood Drive was open to traffic as a pilot project, it’s safe to say the increased monitoring was not enough. I don’t know is the majority of people smoking are tourists, but I’m pretty sure locals are mostly aware of how flammable the park is. 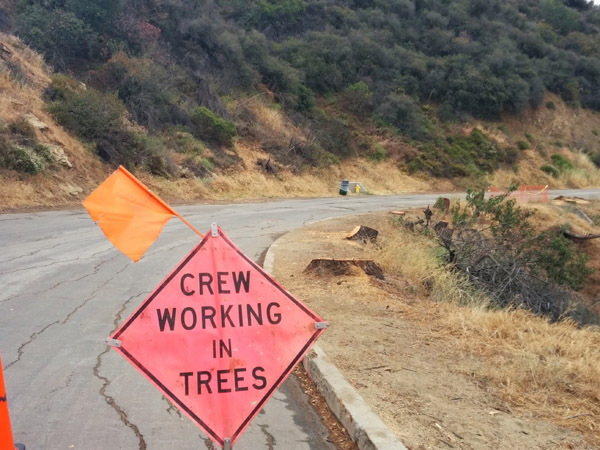 In the last two months, I’ve seen fewer attendants stationed at the bottoms of Observatory Road which is a concern and while we’re still technically a month away from serious fire season, it looks like fire fighters already have their hands full. For the park’s sake, including the people and wildlife that use it, I hope more will be done to protect it. 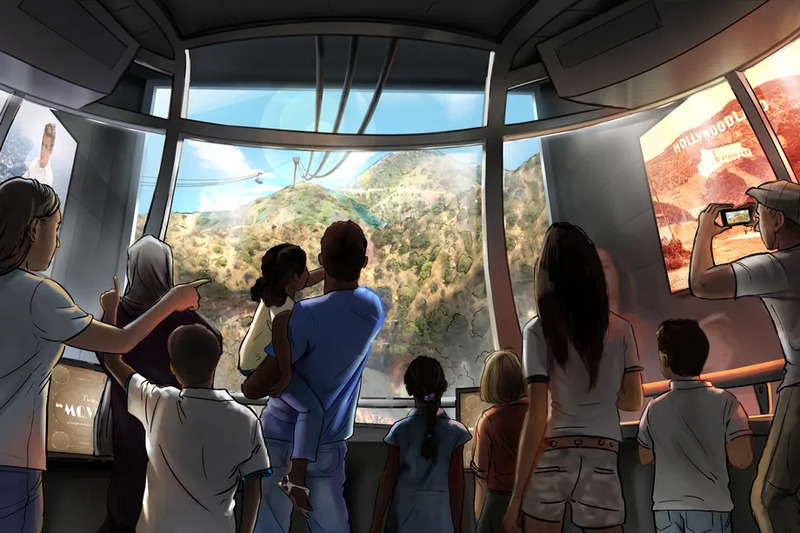 In other Griffith Park news, Warner Brothers Studios announced that it would front the $100 million bill for a gondola to the Hollywood Sign from the Valley side. On one hand, this could alleviate some of the traffic from Griffith Park since I imagine people want to be close to the real thing. Even with the parking restrictions on the Hollywood side, during weekends there are a fair amount of hikers making the trek which calls into questions the capacity Mt. Lee could handle. Since I can bike up there on my own, I don’t imagine that I’ll be spending the big bucks to go gondol-eering. Instead, I’m concerned about Forest Lawn Drive. You know, one of the most dangerous places to bike as you’re forced to ride on substandard infrastructure coupled with shoddy road conditions as drivers zip by at freeway speeds! To add this tourist attraction, that’s going to mean more access which will lead to more parking and traffic. At the same time, the LA River Path is supposed to be constructed close by. The Universal City / Studio City Red Line Metro Station is a couple of miles away which would make biking ideal when / if they ever complete the proposed bridge over Barham. A recent look at Forest Lawn Drive’s non-improvements. While it seems like costs might delay it’s construction, one of the proposed short term alternatives has been protected bike lanes on Forest Lawn Drive. Not ideal, but much better than what we have now. Since this is a private project going on public land, I don’t see why it isn’t unfair to have Warner Brothers build out proper bike infrastructure as a condition? With all the tourists coming, this is an optimal solution to handle all this volume while helping regular users like you and me.